Did you enjoy Day 1 of the hop? We sure hope so. We are so glad you are here with us on Day 2. Welcome to your 1st Stop!!! Are you new to Quick Quotes? Here is a short video that will tell you about this family business. 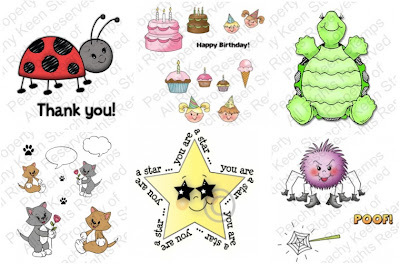 Here's a sneak peak of the stamp sets that you'll see the Quick Quotes design team using!!! *The deadline for commenting is 11:59pm EDT, Sunday, September 18th.Check back here on MON 9/19 when the winner will be announced. **See prize disclaimer at the bottom of the post. yeah! Love to hop with you all! I am a blog follower and off now to hop! Love your blog hop! I am already a follower and I like you on Facebook too. @Doris - right under 'fabulous followers' it says 'join this site.' This is where you need to click to sign up :) Glad you're following through email and that you loved the hop :) Thanks! Love both day thank you for the beautiful projects, I am a new follower!!! What a great hop! I am a follower of both PKS and QQ. Thanks for the inspiration and the all the great products! Had so much yesterday, looking forward to today. I am already a follower, have taken some of your classes and love your stuff! Love hop. Im already a follower. I am a follower and I love how well your products go together. what a great hop, ladies! Am a follower and FB fan of both sponsors! Thanks so much for sharing all the wonderful products/projects! I cannot choose a favorite. Also, tutorials on some of the blogs were a great bonus! Great hop! Thank you for all the tips and for the chance to win great prizes! I have loved it all!! All the projects and ideas!! New follower here. T%hanks for the fun hop~! Already a follower! Thanks for the hop! All the projects were creative and so well done. Thanks for the chance to win. The new set looks amazing! Wonderful projects, thank you so much for sharing. I love all the projects I seen on both days. All the designers are a very creative group. Thank you for all the inspiration...Everything was so STINKIN CUTE! I love blog hops and i love both of these products. thank you soooo much. I hope I win. ...and I'm follower #992. So glad I came by here late, as I just saw about your weekend in York PA next weekend. I'm not TERRIBLY far from there (about a 2.5 hour drive) so perhaps I can drop by. Is it something that's simply drop-in, on one day or another (like an open house), or must one register and attend for the 3 days? Could you please let me know? I'm new to Quick Quotes and it looks like a product AND company that I need to explore! I am just amazed at all the talent I am seeing from these 2 days of hops!! this has been a great hop. so much inspiration along the way. i'm a new follower and also a new fb fan. I am already a follower of both Peachy keen and here at quick quotes, I am now a fan on FB for both too. I am looking forward to day 2's hop. woo hooo!!! what a fun hop!!! thanks QQ/Lisa for organizing this hop along with all the design team! you ROCK! It has been a fun hop! Such great projects and cool products from both companies! Thank you for sharing and the opportunity to win! I follow the blog. Loving the hop so far. I am a new follower... I'm off to hop. 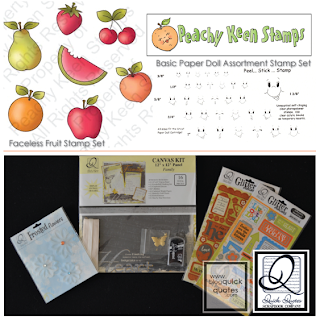 I have been a follower of Peachy Keen stamps for a couple of months now and a new follower to Quick Quotes!